"From the day I met Professor White, I instantly felt like he understood me and knew how best to support me. At each of my sessions with him he would listen, keep me on track and guided me on a path which has improved my confidence and my own self belief. He has a huge amount of knowledge and experience that makes him excellent in his field......... I cannot thank him enough for everything he has done for me and would throughly recommend him to my family / friends." 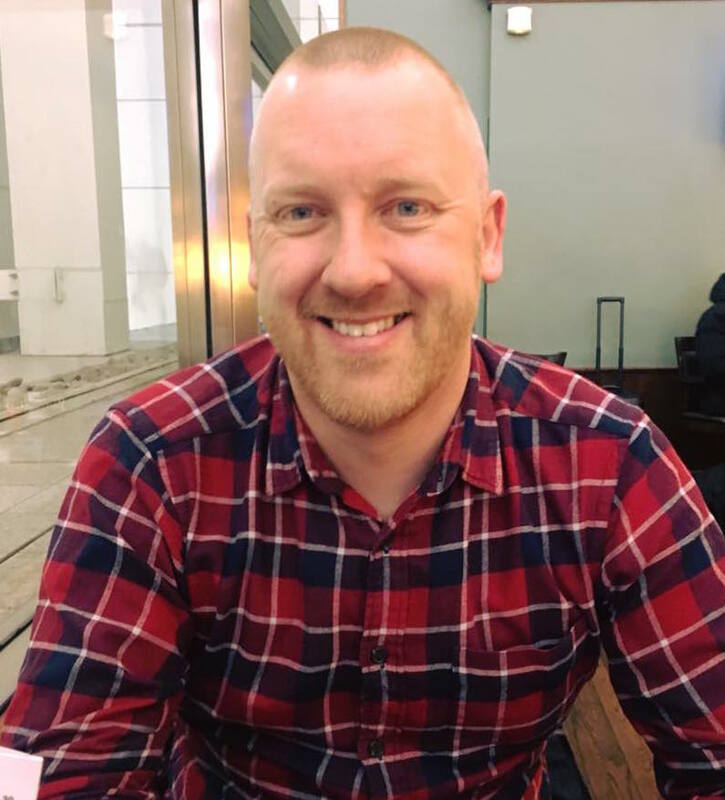 " I am delighted to have reached a level where I can manage my symptoms and understand them more. Being somewhat free of that all-encompassing and relentless fear has been liberating and I feel a million miles away from that sobbing, terrified heap that first walked into your office. So thank you. I want you to know how much I appreciate everything you have taught me and all your support along the way." "I feel very lucky & privileged to be under Professor White's care. He has & continues to guide me through a very difficult time in my life. He goes above and beyond what I would have expected from any health professional. He is brilliant, kind, caring & most of all understanding of my condition. Professor White will tell you he is only doing his job, however it's rare these days to receive such dedication. He is a credit to not only himself, to BMI Healthcare." "Thank you for all the time and and effort you are going to to find a solution to my problems, I greatly appreciate it." "Many thanks for your assistance here. My client was delighted with how the meeting with yourself went." Solicitor following meeting with his client. "Many thanks for getting back so promptly and for writing such a professional, easy to read report." Client following assessment of psychological consequences of historical child abuse. "We are pleased to say that the Procurator Fiscal accepted a plea of not guilty as a consequence of the terms of your report....thank you for all your assistance in this matter. " Solicitor following assessment of historical mental health problems & psychological factors influencing incident. "Thank you for your help in respect of the above matter. We are pleased to say that the Procurator Fiscal decided to discontinue the prosecution against our client. We are sure that this is as a consequence of all your hard work and thank you for the same." Solicitor who instructed me in considering whether provisions of Section 53 of the Criminal Procedure (Scotland) Act 2015 regarding unfitness for trial were applicable to criminal allegations against a vulnerable person. Social anxiety disorder (sometimes called social phobia) is a disabling anxiety disorder that is characterised by self consciousness, avoidance of social situations and intense apprehension or anxiety associated with speaking, eating or interacting when around other people. Cognitive therapy is an effective intervention and significant reductions in anxiety symptoms can be achieved, Treatment involves identifying some of the thoughts generating symptoms, enabling people to learn how to modify these and achieve lasting changes. The figures below show that as the 'believability' in thoughts is reduced there is a reduction in the severity of anxiety symptoms. 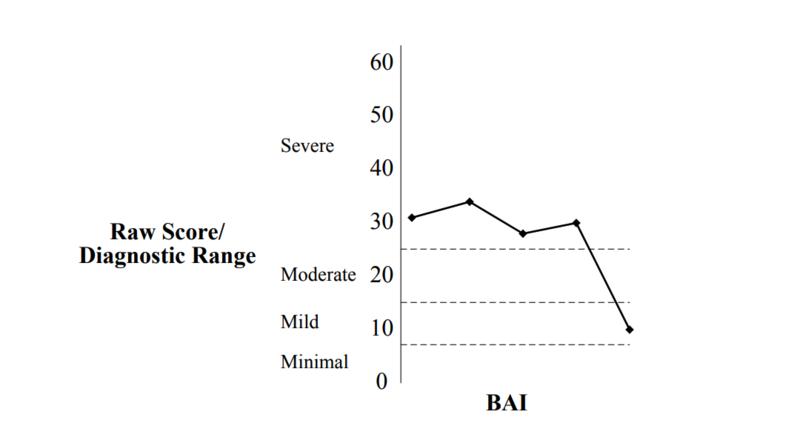 Here this patient was able to generate evidence through exposure to different ways of acting in situations that contradicted life long ways of thinking - and as they did so achieving reductions in clinically significant and disabling anxiety (reflected by the corresponding reductions in the Beck Anxiety Inventory score). What outcomes can be achieved ? The following graphical representations of improvements psychological symptoms illustrate the improvements in symptoms being experienced by people receiving support, treatment and care through ProfC.org. 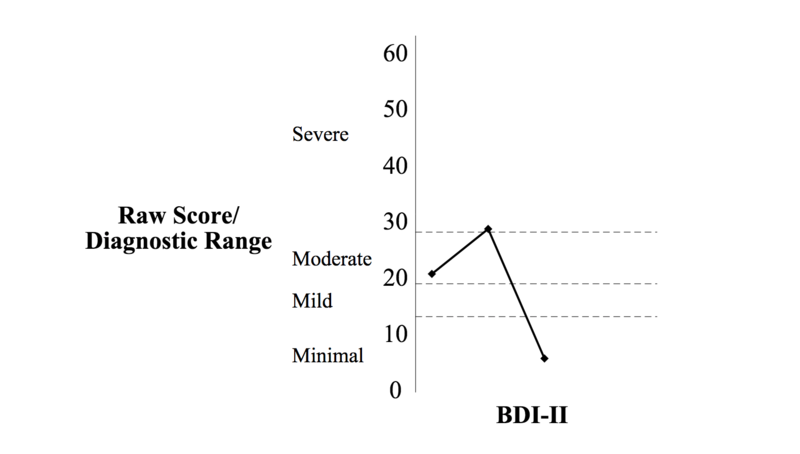 BDI-II is an internationally recognised measure of the severity of depressive symptoms and the BAI is a similar measure for anxiety symptoms.